Mark is an experienced immigration attorney. He has represented individuals and businesses in western Pennsylvania in all areas of immigration law for more than a decade. A former Congressional aide whose focus was constituent service, Mark knows how to work with the U.S. Government to solve complex immigration issues. Along with the Pittsburgh office, Mark also conducts his practice from the firm’s Business Center location in Muncy, PA.
Before joining the firm, Mark was a name partner at the boutique immigration law firm Schneck & Harley Immigration Law Group LLP. He previously was a law clerk for the late T. Modibo Ocran, Justice of the Supreme Court of Ghana and professor of law at the University of Akron, Ohio. Prior to his legal career, Mark served as a constituent service representative for a member of Congress. Mark currently serves as an adviser to the board of Lan Vwa, a nonprofit organization providing students in Haiti and Guatemala access to free education via cyber classrooms. 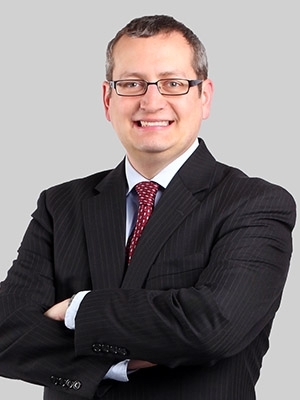 Active in community issues, Mark has trained pro bono lawyers to represent foreign nationals, volunteered to provide pro bono advice as part of the City of Pittsburgh’s Citizenship Day efforts and served as a judge for high school mock trial competitions.